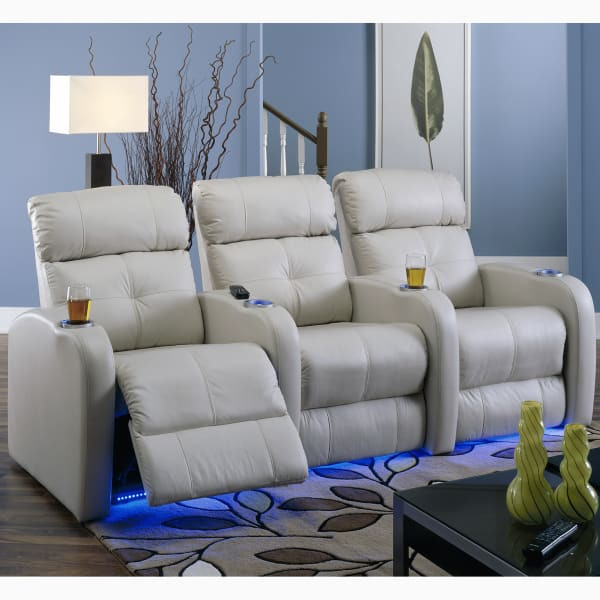 Do you like new-age comfort when you relax and unwind? 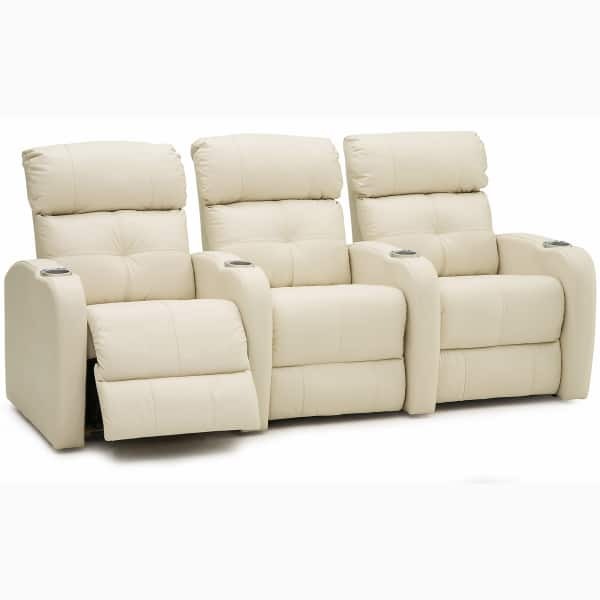 The Stereo Home Theater Seats offer comfortable luxury, with soft classic leather or reliable fabric covering modern high-resilience foam that will enhance your sitting experience. Whether you prefer old-time picture shows with Charlie Chaplin, or contemporary films filled with explosions and romance, these home theater seats offer coziness and relief rarely found in other models. Palliser has created the Stereo to be a custom project for homeowners, with dozens of fabric and leather options; pictured above in the main image is one such custom look, with black Phoenix Anthracite Leather with a light-colored contrasting stitch. This ability to change out colors and upgrade various aspects of each chair (regular cup holders to cup holders with LED lights and much more) allow you to create a private playhouse for your favorite moving pictures! Be sure to give us a call to review all of the available options!